Wow, what more can we say about this stunning BMW M5. Very reluctant sale from its previous owner who has loved this car! Full BMW service history including the all important running in service, this car wants for nothing and only 2 private owners from new, this car really is immaculate! The car benefits from having the very sought after 20" JUDD wheels wrapped in excellent Michelin Pilot Sport tyres that cost over £2500! The standard wheel can be supplied if preferred which are also wrapped in Michelin Pilot Sport tyres in nearly new condition! 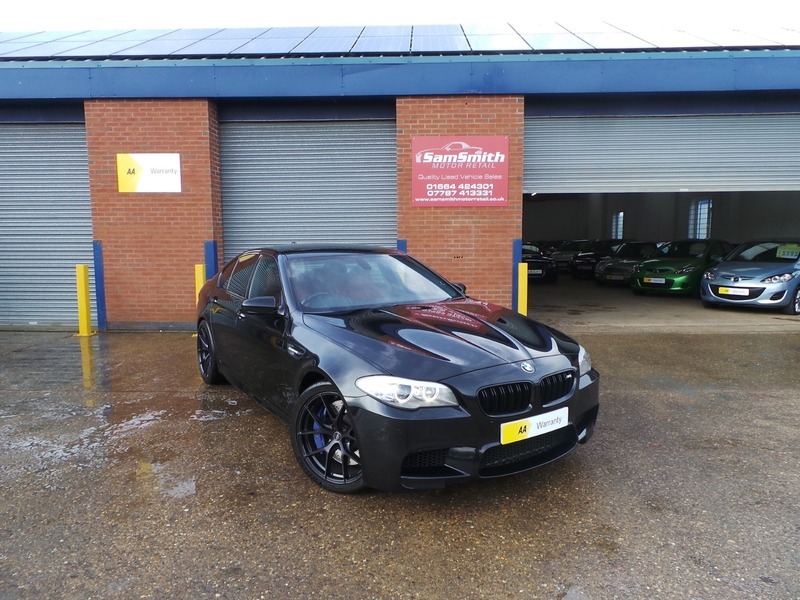 The car also benefits from a private registration M5YYL which will be supplied with the car at no extra cost. All of our cars go through a very thorough workshop inspection, get freshly serviced if needed and come with a 3 month fully comprehensive (parts and labour) warranty and AA cover. Every car we sell is HPI clear with certificates to prove. LOW RATE FINANCE DEALS AVAILABLE. Open 5 days a week and weekends by appointment. Please call for availability & viewings.